Fleece is a wonderful fabric that can keep you warm all winter long. The only problem with the material is that it attracts lint and pet hair. The lint and pet hair stick to the fleece and will not come off without coaxing. There are a few things you can do at home to make sure your fleece is looking good without any balls of lint hanging around. Run the lint-free clothing cloth over the spots of your fleece that contain lint. The lint will be drawn to the cloth. These are made for removing lint from computer screens, but work just as well at removing lint from fleece. 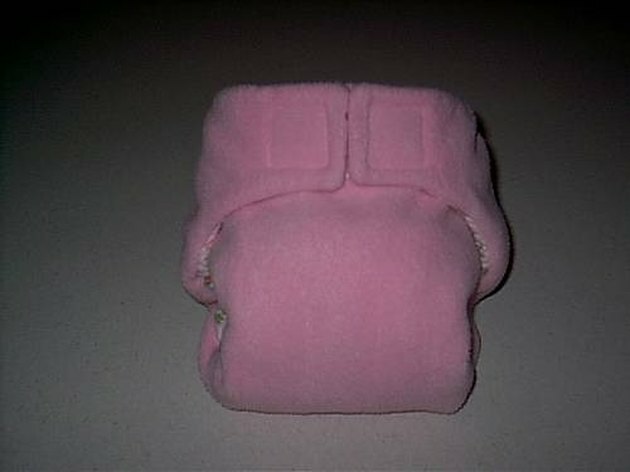 Place the fleece in the dryer with a dryer sheet for twenty minutes. The dryer sheet will reduce the static so that the lint ends up in the lint compartment of your dryer rather than on your fleece. Wrap some packaging tape around your four fingers. Make sure the sticky side is facing out. Now press the tape on the lint and pull up. The lint will stick to the packaging tape. You may need to re-tape your fingers when the first wrap is full of lint if you have a lot of lint on your fleece. Roll a lint roller over the lint on your fleece. Do this all over the fleece to take all of the lint off. Use a pair of tweezers to remove the lint pieces. This is a good option if you don't have a large amount of lint. If you do have a large amount of lint you will need an hour to remove all of the lint from your fleece with tweezers. Wrap packaging tape around a paint roller instead of your hand to make a homemade lint roller. Try washing your clothes inside out. This will reduce the amount of lint that sticks to your fleece. Lint comes from your towels. Try washing them separately once per week instead of adding them to the wash along with your clothing.